CIOPhoto: 102 - That's a BIG Rabbit! 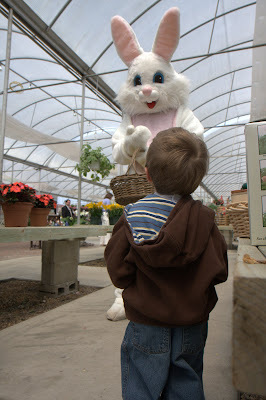 My grandson was amazed by the giant Easter bunny at White's Nursery in Deep Creek, Virginia. Canon 40D, 1/320 sec at f/6.3, ISO 200, 28mm equivalent focal length.